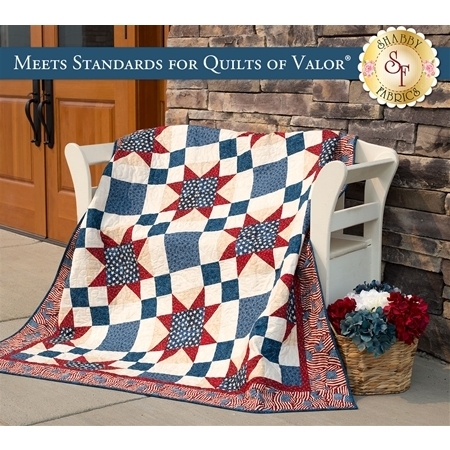 Add a stunning americana touch to your home with this striking quilt, or better yet create a beautiful tribute to honor a service member with this wonderful, patriotic keepsake. This Shabby Exclusive quilt is made using simple piecing, and features a beautiful American flag border. 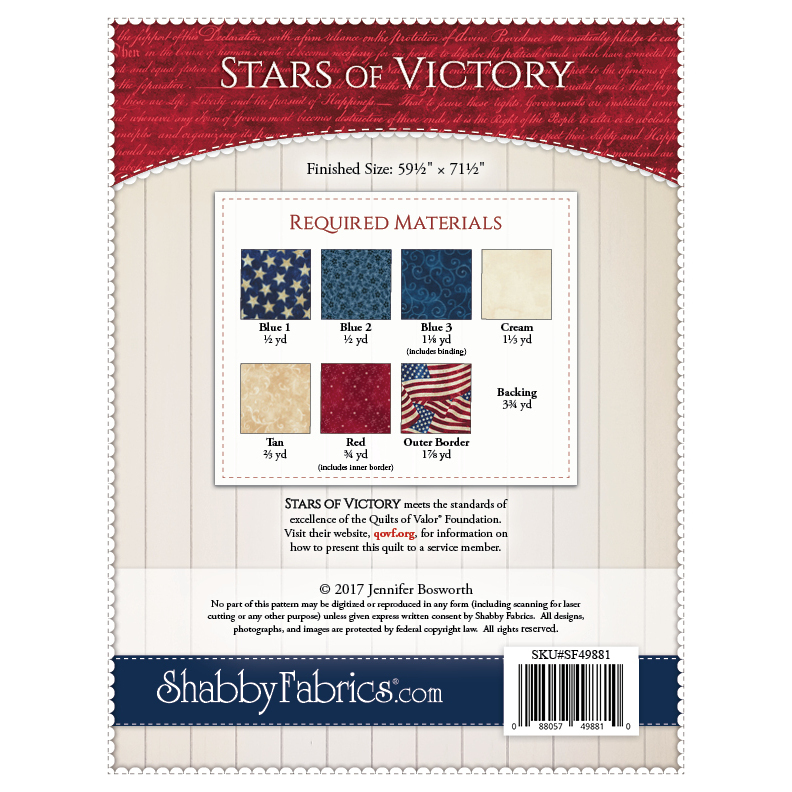 Finished size measures approximately 59½" x 71½" and meets the Standards of Excellence for the Quilts of Valor Foundation® to be an official Quilt of Valor®. If you love the fabrics used in the original quilt, you can purchase the kit HERE!